Lose up to 10 lbs in a year, just by trimming 100 calories a day! We show you how. 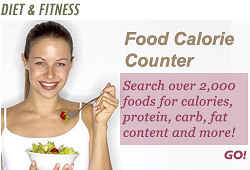 An extra 100 calories here and there may not sound like much of a diet saboteur. Yet if you sum things up, trimming just 100 calories a day means saving a whooping 36,500 a year! Which translates to a 10-pound weight loss, explains Joanne V. Lichten, Ph.D., a dietitian and author of Dining Lean. "When people start putting on weight, they automatically start thinking that they're doing everything wrong. When in fact, it may be just a few small things that are making the difference," she adds. We show you 30 easy ways to cut 100 calories -- and still get to eat what you love. 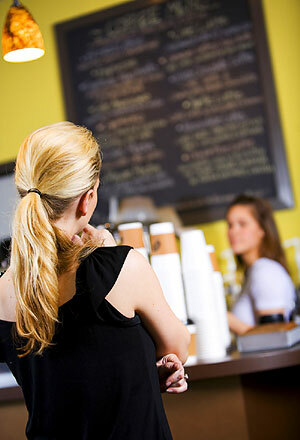 Ordering a friendlier-on-your-waistline cuppa is easy: Just ask for nonfat milk instead of whole milk. A Starbucks Caf� Latte with whole milk, for example, will cost you 260 calories. Replace with nonfat milk, and you'll save 100 calories. Going for a Frappuccino? Cut out the whipped cream and you'll trim 130 calories.